Somewhat confusing as the flowers of this beautiful plant droop gracefully, and it is the stems that are erect and give it its Latin name. 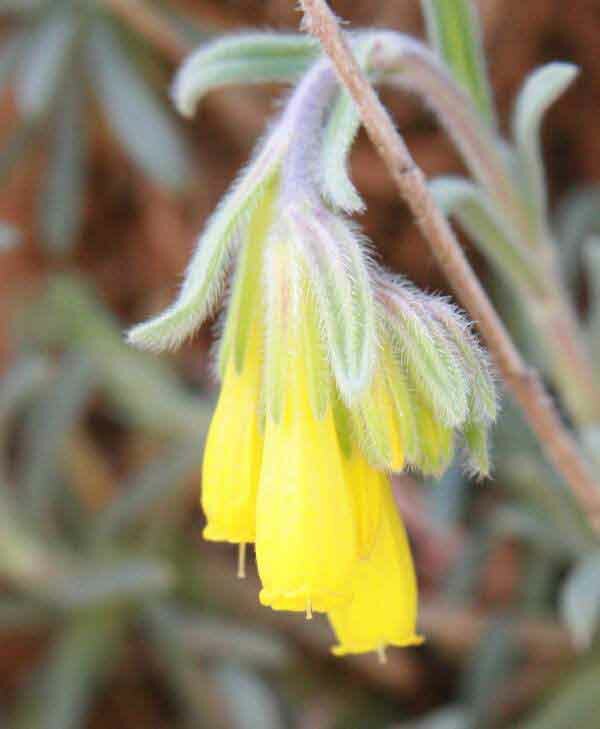 Onosma erectum is another plant that is happy in rocky and inhospitable places where it forms lovely cascades of flowers that are unmissable when the plant is in bloom. 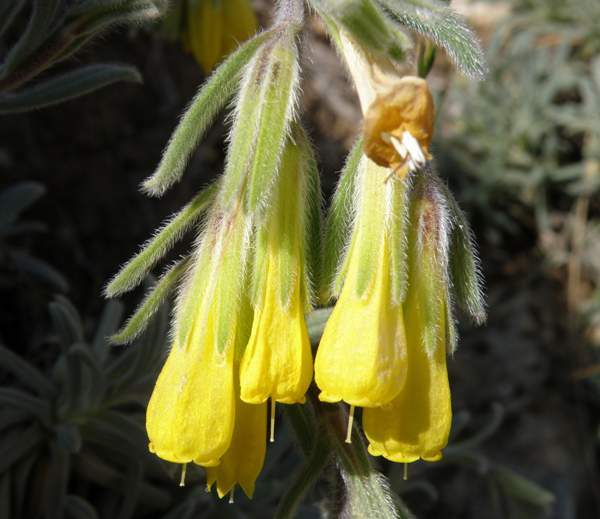 A member of the Borage family of plants Onosma erectum flowers from mid-March to the beginning of June. 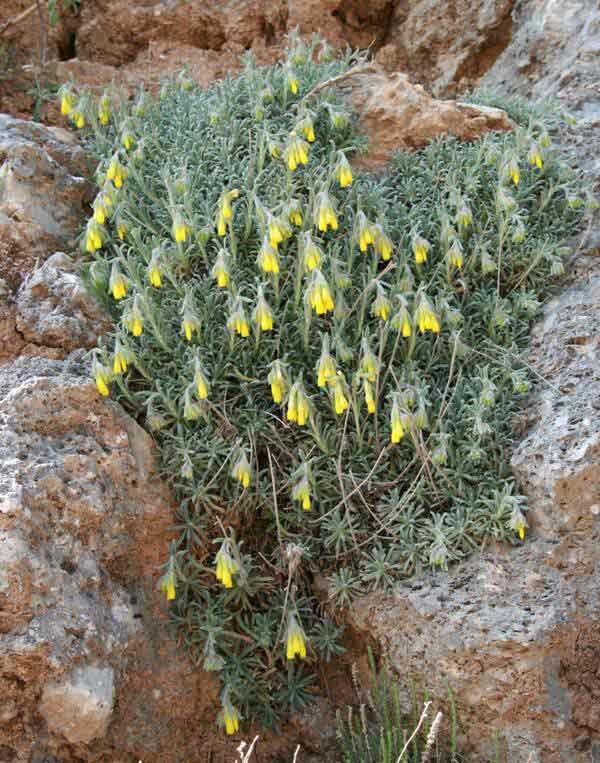 It can be found in Crete and southern Greece. The plants on this page were photographed in Crete in early April.